Assam is a country which beams of myriad communities, national parks which are World Heritage Sites, one-horned rhinoceros which are nearly extinct and also surrounded of states like Arunachal Pradesh, Meghalaya, Nagaland, Manipur, Tripura, Mizoram and West Bengal. 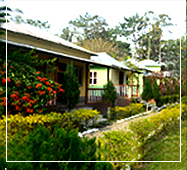 Assam is a placed which presents us with some versatile and enormous communities. The Assamese Brahmins where Ganakis also a part, Koch Rangbongshi or Rangpuri who are antique communities of northern West Bengal and Assam, Ahom the descendants of the Tai people, Rabha one indigenous Assam communities, and more. Assam is a prized state because it has in her possessions like the almost extinct Asian elephant, Assam silk which is one of a wonder and Assam tea too which is among the best. 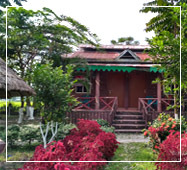 Assam can absolutely be called as the state of greenery and also a dwelling of flora and fauna because it is here that we find the wild water buffalo, pygmy hog and a countless number of Asiatic birds. TheAssam tourist places have in it the renowned Kaziranga National Park is situated in the Golaghat and Nagaon districts of Assam, here one will find two-thirds of the world’s one-horned rhinoceros, wild water buffalos, water swamp and elephants. Located in the Himalayan foothill, the Manas National Park is situated here and is a UNESCO site and a tiger reserve. Let us now get into an itinerary of a 10 days Assam tour package. Jaldapara National Park, Gorumara National Park, Chapramari Wildlife Sanctuary, Buxa Tiger Reverve, Jayanti, Mahakal Mandir, Rajabhatkhawa, Lava, Neora valley, South Khayerbari leopard rehabitation center, Bhutan, Chalsa, Murti, Samsing, Sunthalekhola, Rockey Island, Tea Tourism. Sealdah to New Mal Jucntion & New Mal to Sealdah 2nd Class Sleeper Train Fare. All Meals as per package schedule. Tea Tourism (Tea manufacturing with tea plucking, factory visit). Still or Video Camera Charges. Our journey of the Assam tour package will commence from Howrah station where we will be reaching the station with our packed up luggage. Our train, ‘Saraighat Express (12345)’ will be starting from 15.50pm for Guwahati. Our train will reach the station at 9.30am in the morning and we will thence be travelling towards our hotel exploring Shillong tourism. We will be resting and after consuming our lunch in the hotels of Guwahati we will be journeying towards our first destination point of Guwahati sightseeing. BASISTHA TEMPLE: Our first stop of Guwahati sightseeingwill be at this temple built by AhomKingRajeswarSingha in 1764 and its story has been continued from the Vedic age that the temple’s foundation was noticed since then. 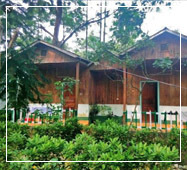 This tourist place in Guwahati is located in the Garbhanga forest reserve which is few kilometres away from Guwahati, and it is very attractive for the presence of elephants and also this reserve has in its thousands of butterflies. BALAJI TEMPLE: this temple is an amalgamation of different deities like Lord Venkateswara, Lord Ganesha, Lord Balaji who is the main idol weighing 4 tonnes. The architectural design is tinged with South Indian aura and is held to be very religious for the Hindus. Marking this to be the end of this day of the Assam tour package we will all rest and sleep the night away. Today is the third day and it is the day when we will say goodbye to Guwahati and emerge inShillong tourismto experience Shillong sightseeing. We will fill our morning appetite and after consuming our breakfast will initiate our journey ofShillong tourism in a mini jeep or car. After reaching our destination we all will head towards the hotel when it is almost lunchtime. After we eat those delicacies in our lunch we will then start with the most amazing part of the Shillong tour packagesthat is, the local sightseeing of the Shillong tourism. UMIAM LAKE: this one among the Shillong sightseeingis a man-made lake but is popularly known as ‘badapani’. The lake further is found to be presently scattered islands and the adjacent Lum Nehru Park is apt for picnicking and enjoyment. SHILLONG PEAK: In the Shillong tourism, this offers a panoramic view of the whole city of Shillong. This is situated on 6449 feet and is amidst the fog. From here you will not have a feeling of being on top of the world but also will be able to get a picturesque view of the whole of Shillong and also the plains of Bangladesh. ELEPHANT FALLS: among Shillong’s tourist places, this fall is a very beautiful and alluring attraction point in Shillongsightseeing. It is a cascading fall and had an uncanny elephant like a rock which was later destroyed by an earthquake. LAITLUM CANYON: a very amusing name in the Shillong tourism with some exclusive beauty of its own. The literal meaning of this place is ‘end of the hills’ and is an ideal juncture for the adventure freaks. In particular,Shillong’s tourist places one can get on with trekking, or indulge in the enigmatic nature or just sit amidst the soothing peaceful ambience. this day of the Assam tour packageis going to be a very fantastic day because today we all will be heading towards Cherrapunji, which some call to be the wettest place on earth some call it a place for monsoon lovers but we will call it as one of the wonders. After having breakfast we will en route towards Cherrapunji tour for the whole day. Cherrapunji has some mind-blowing places to explore. NOHKALIKAI FALLS: This particular fall among the places to visit in Shillong and Cherrapunji is not just a fall but the most celebrated one in our country because of its being the tallest plunge waterfall falling from a height of 1115 feet and also marking itself to be the fourth highest fall in the world. Now we all know that why is it a craving among all to see it. MAWSMAI CAVE: its time you get some really thrilling adventure vibes in this North East Indiatourism. This cave is an actual cave which will give you a feeling of living a life million years back like our predecessors. This cave will make you bend your knee and crawl for how long we really do not know for the height is quite low. Further, though there is light penetrating from a point it might just vanish at times escalating the enigma inside. THANGKHARANG PARK: located 12 kilometres from the city this park is on the edge of a cliff. Here not only we will get the touch of India but also Bangladesh from the top view of its plains in a 180-degree view. Here we will also find the Kynrem Falls which is the seventh highest. NOHSNGITHIANG FALLS: This fall of the North East tourism is marked as the 4th highest falls in the country falling from a height of 1035 feet. There are seven streams flowing altogether from the plateau and thus it is also known as the ‘seven sistersfall’. After a long day with full of exciting stops, we will now get back to our hotel and have dinner and sleep off because the next day is going to be all the more interesting. HAVE YOU VISITED THE CLEANLIEST VILLAGE IN ASIA? You heard it right, we are talking about visiting the cleanliest village in Asia and that is Mawlynnong village whose other popularly called name is ‘God’s own garden’ which is so apt. we will be visiting this place after having our breakfast. The village is 80 kilometres distance away and we will be boarding a mini coach for travelling. It must be mentioned that the people of this village are not only clean and tidy but also keep the ambience tidy. We will find that all the houses are cleaned, there are dustbins where also the dry fallen leaves are stuffed. The people not only just clean their own houses but also the roads. Every one of them has their own toilets, here plastic is banned and smoking is prohibited. Do we need anything more to lead a healthy life? Of course not! This village is a remarkable example of women empowerment because here the children get their mother’s surname and also here the villagers namely the Khasi tribe (one of the oldest tribes) have proved that absolute literacy rate is actually possible. Tourists are lent a very warm hospitality by them which is a quintessence of their being of humane nature. We will be returning during the afternoon and have our lunch in the hotel. The rest of the time is for resting purpose in Shillong itself. we will return back to our hotels in Guwahati by a bus or sumo and embark in our hotel. We will then get ready for our lunch and our destination in the Guwahati tourism will be the famous Kamakhya temple. KamakhyaMandir is a very renowned temple,especially among the Hindus. It is this place which is considered the most antique among the 51 Shakti peethas on Earth. Located on the Nilachal hill in Guwahati this place is crowded almost throughout the year. This place is very legendary and is the sacred spot for tantrik worshippers. We all will embrace the almighty and offer our worships and then return back to our hotel. That night we will be staying in Guwahati and enjoy the peace. the next day we will make an end to our Guwahati tourism and will be journeying towards Kaziranga by a car. We will then be transferred to the hotel in the forest. That night we will be relishing the amazement in the forest. Now comes one of the most wanted trips and that is to Kaziranga national park which is also a World Heritage Site and also among the best places to visit near Guwahati. The next day we will get up to an amazing day, after having our breakfast we will head towards Kaziranga Park by car. Kaziranga Park is a hub of flora and fauna altogether. People loving nature will find this place to be absolutely mesmerizing because it is the place where we will find one-horned rhinoceros which is nearly at an extinct state and thus a prized possession to Indians. We will also notice mighty tigers and in fact,Kaziranga forest is featured to be one of those places where we can find a high density of tigers and thus it is also called tiger reserve. Myriad animals like the wild water buffalo, swamp deer and elephants are also found there thus adding to more fascination. Kaziranga is so full of featuring phenomenon and that is because it is exclusively recognized as the ‘Early Bird Area’ by ‘Birdlife International’. The location of Kaziranga is in an accentuated position because of its being on Himalayan Biodiversity Hotspot. It is filled with tall elephant grass, marshland and thick tropical moist broadleaf forests. The Brahmaputra is seen to amalgamate here and also certain small water bodies are witnessed. This is going to be a very amusing trip to Kaziranga tour and peace lovers will also find the serene ambience very soothing. 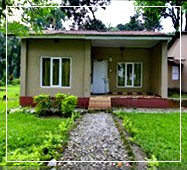 We will then retire to our hotel that will be in Kaziranga and stay there that night. WHO WANTS TO RIDE THE ELEPHANT? Staying in Kaziranga and not riding the back of the elephant? That is probably impossible! The next day will be the most incredible indeed for the Kaziranga tour package will initiate. We all will be going for a jeep safari or an elephant safari (the cost will be borne by the individuals). There are many ranges here to cover, namely, Kohora the central range, Bagori the western range, Agoratoli the Eastern range, Buraphar the ghoraketi range and Panbari reserved forest. The safari will encompass the one-horned rhinos which are the epitome of our attraction, wild buffalos which are also quite famous. There will be swamp deer, bear, python, and one very engaging wildlife creature is the antique monitor lizard. Wait, there is more to it, we get to witness the crested serpent eagle. There are a number of eye-catchy birds like the Pella’s fishing eagle, Grey-headed fishing eagle, Jungle fowl, Bengal florican and waterfowl, black naked stork, snake bird and so on. Thus our safari will be a very fruitful one. : It is almost time to head back home. This day we will wake up to a delicious breakfast, and leave for Guwahati by a mini coach and the estimated time will be 6 to 7 hours. We would be reaching Guwahati by afternoon and will be staying in the hotel. The evening is left for shopaholics. the next morning can be a lazy one because it is the last morning at Guwahati. After consuming early lunch we would be boarding the Saraighat Express from Guwahati railway station with the departure being 12.45pm. we will be reaching Howrah the following day at 5.10am. thus marking a fantastic end to the northeast tour packages. Sajnekhali | Sudhanyakhali | Do Banki | Burir Dabri | Jharkhali | Gajikhali | Pirkhali | Panchmukhani | Bonbibi Varani | Duel Varani . .